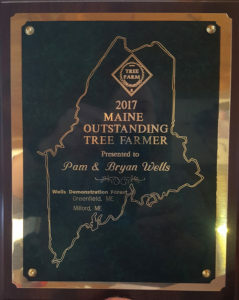 Welcome to Wells Demonstration Forest: Maine’s American Tree Farmers for 2017! Located in Milford/Greenfield, Maine, Wells Forest encompasses around 1050 acres of forested property. Sunkhaze Stream runs through the Tree Farm which adjoins the Sunkhaze Meadows National Wildlife Refuge. 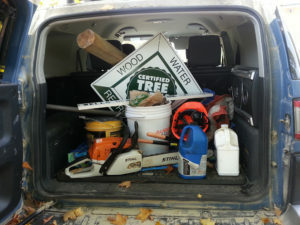 Pam and Bryan have the goal of eventually obtaining some economic value from tree growth as well as helping other woodlot owners define goals for their forests. Equally important, the Wells desire to do this work in a way that is environmentally friendly for trees, wildlife and fisheries.